1. Remove door knob and old roses. 2. 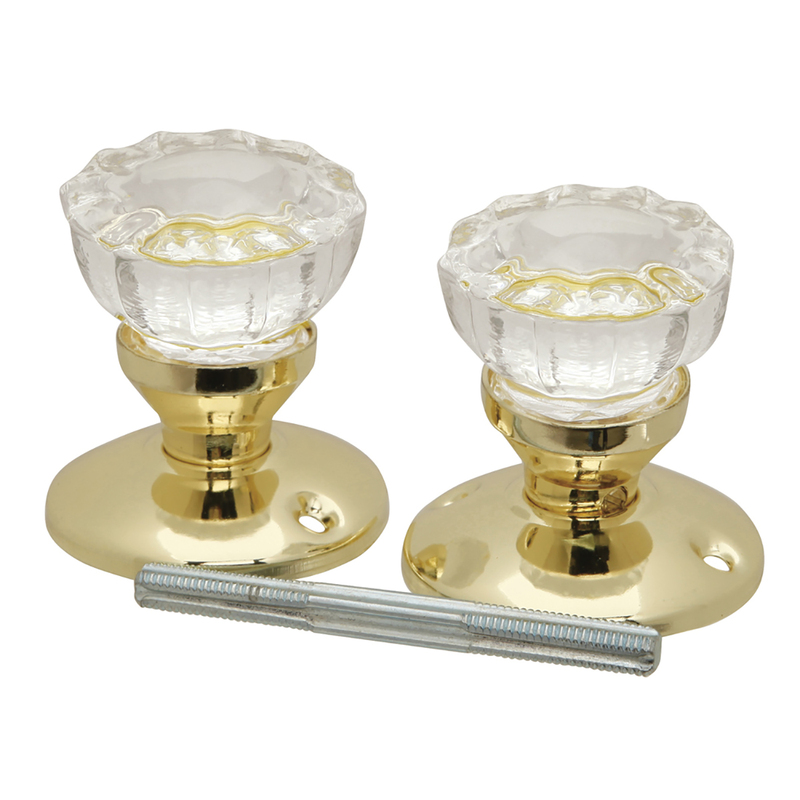 Replace with new roses by lining up the holes and attaching screws. 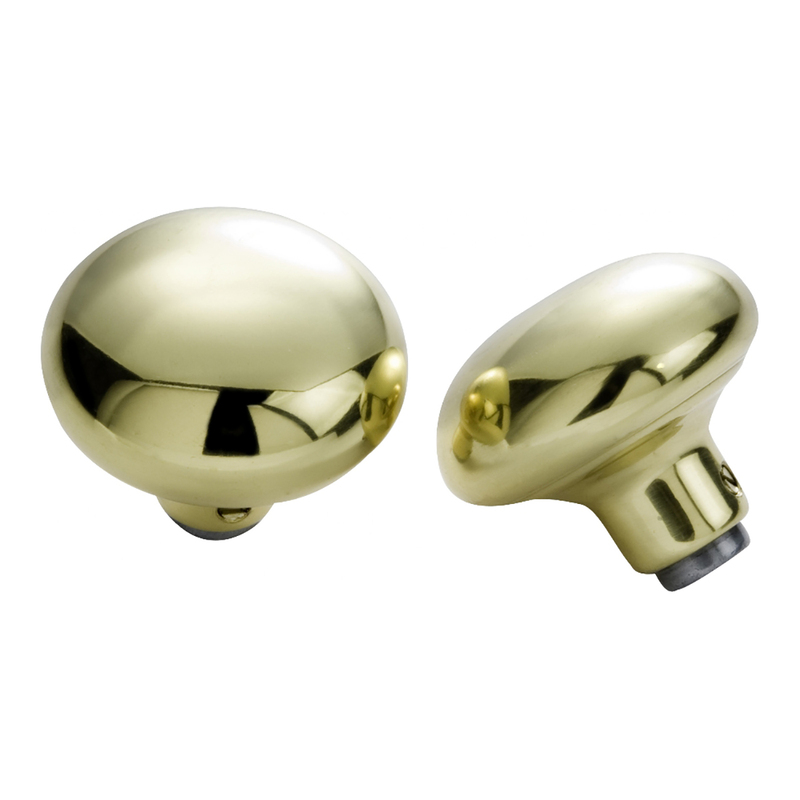 Attach door knobs. 1. 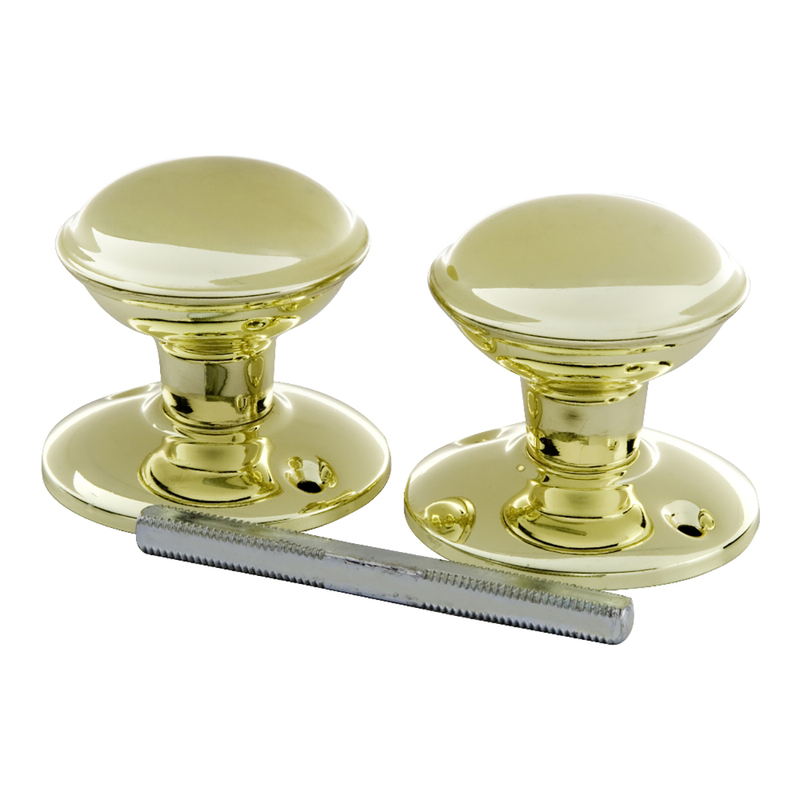 Remove old knobs and spindle. 2. 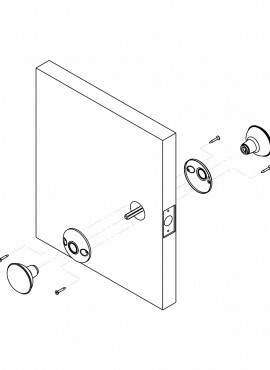 Twist one knob onto spindle and slide through door. Twist other knob on other side of spindle. 1. 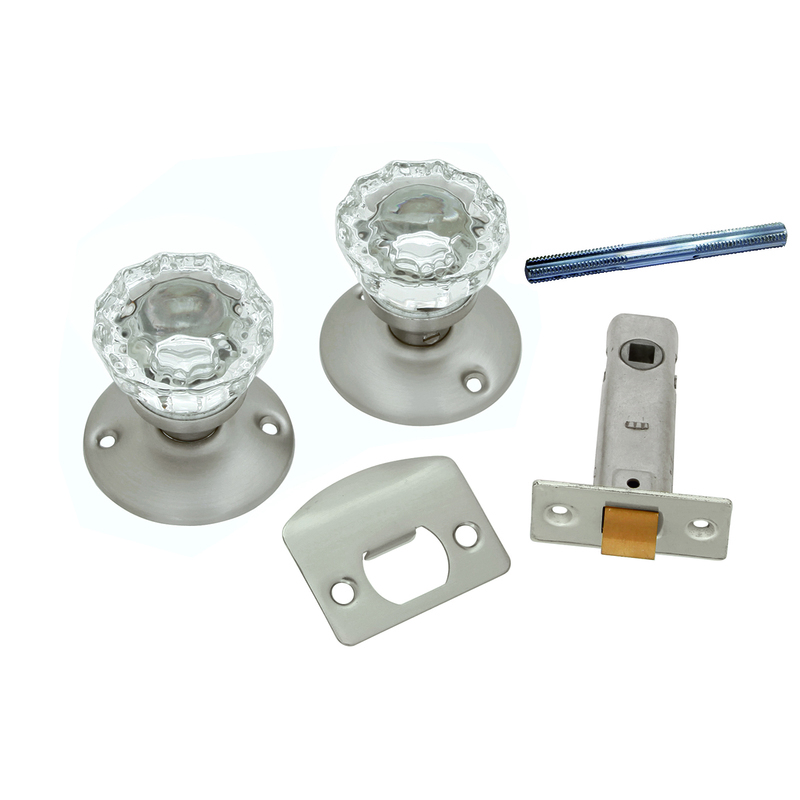 Remove old hardware from door. 2. 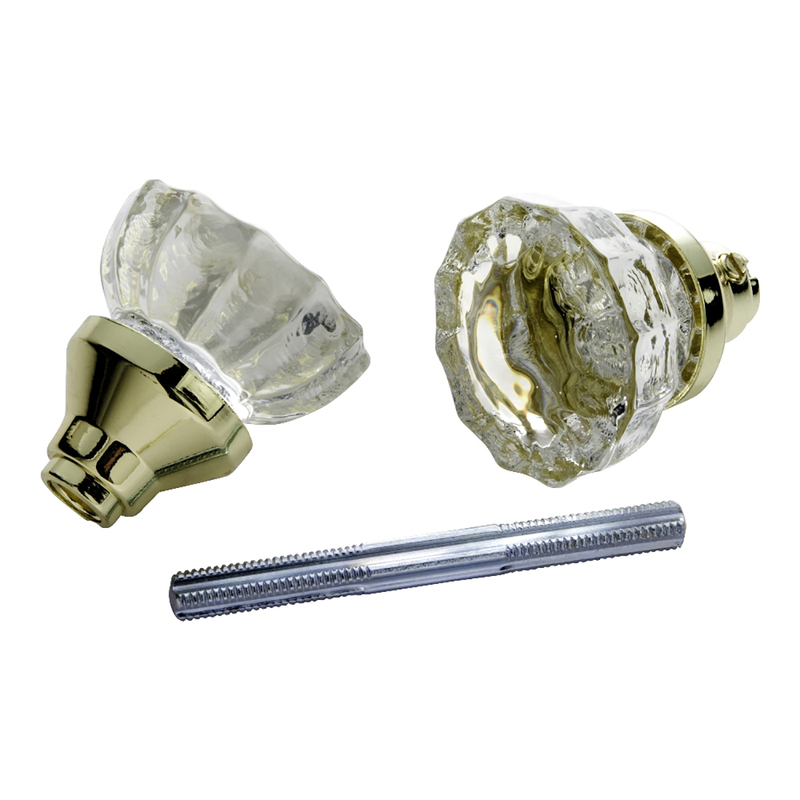 Attach new roses with screws provided. 3. 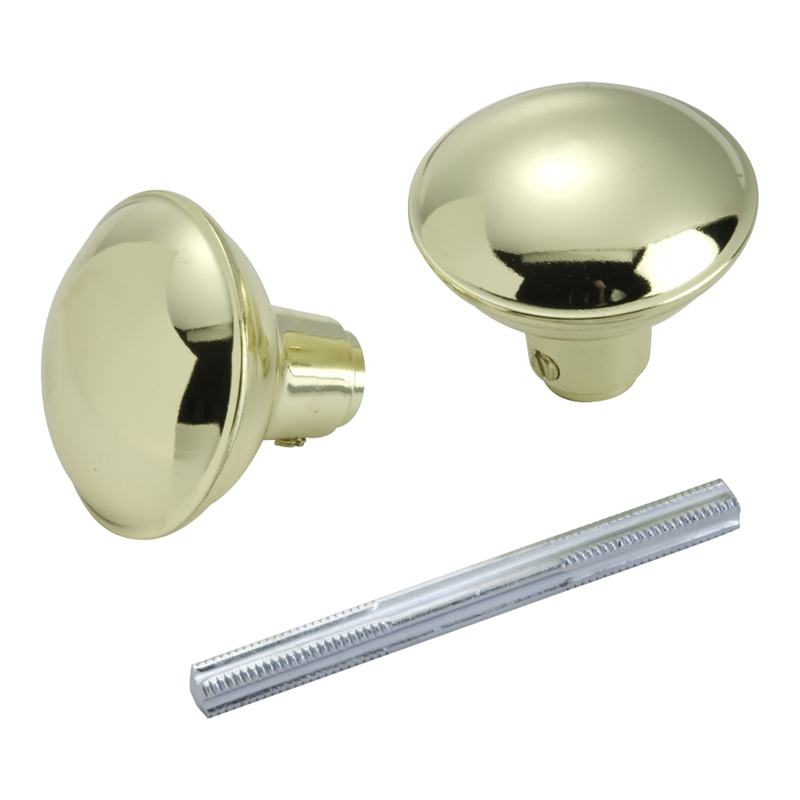 Twist one knob onto spindle and slide through door hole while attaching to rose. 4. Twist last knob onto spindle and rose. Tighten knows using small screws on the side of knobs. 2. Attache new roses with screws provided. 4. Twist las knob onto spindle and rose. Tighten knobs using small screws on the side of knobs. 1. 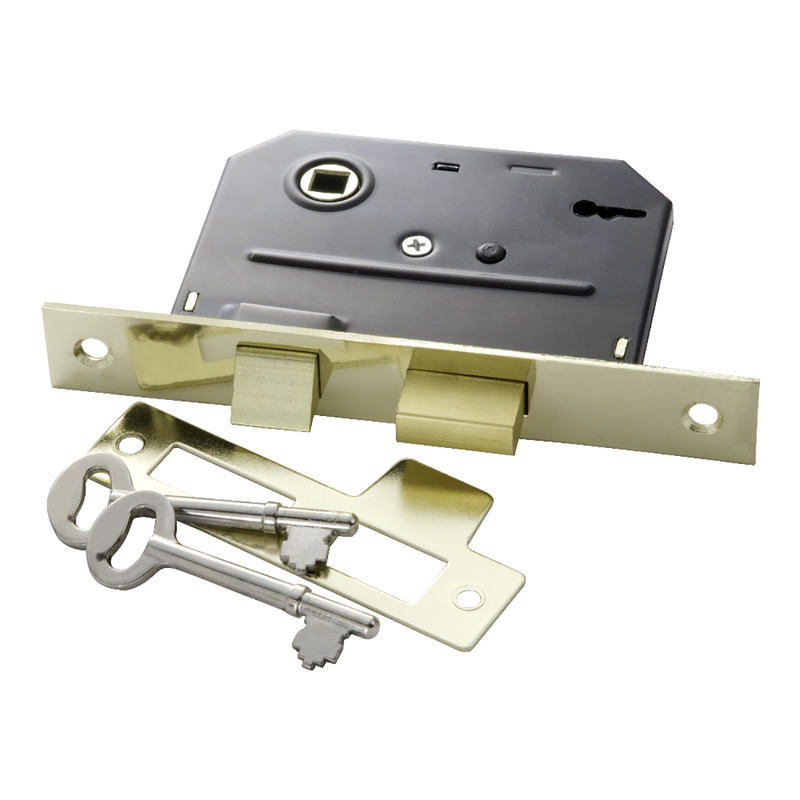 Remove old lock and strike plate. 2. Position new lock into hole and pound in with hammer. Make sure deadbolt is on the bottom. 3. Attache with screws provided. 4. 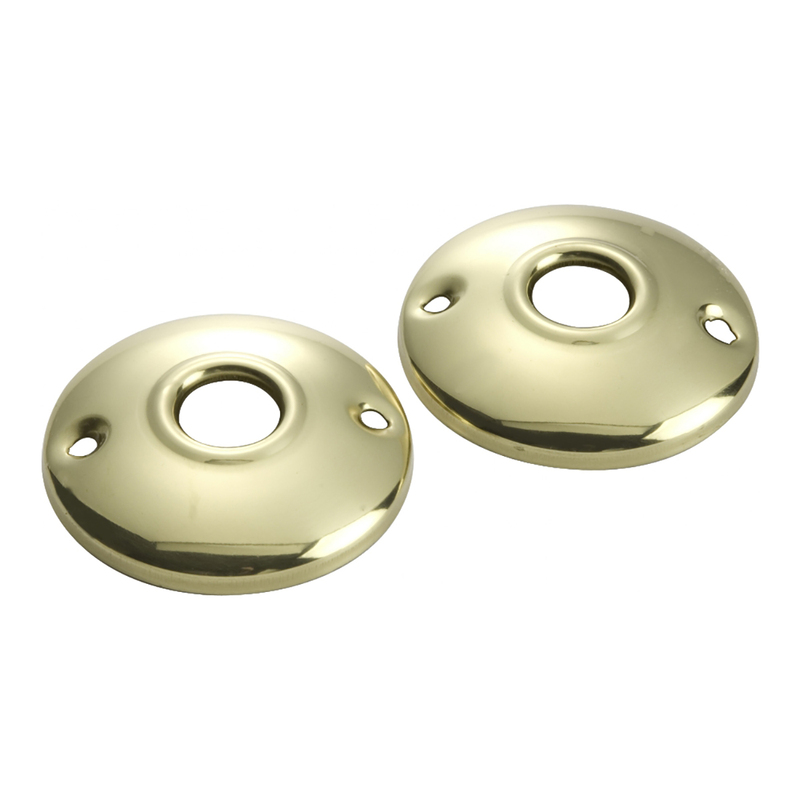 Align strike plate with existing holes and attach with screws provided. 1. 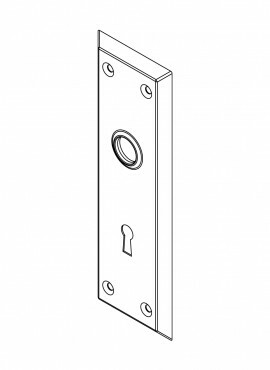 Place square end of latch through 3/4″ hole in side of door. 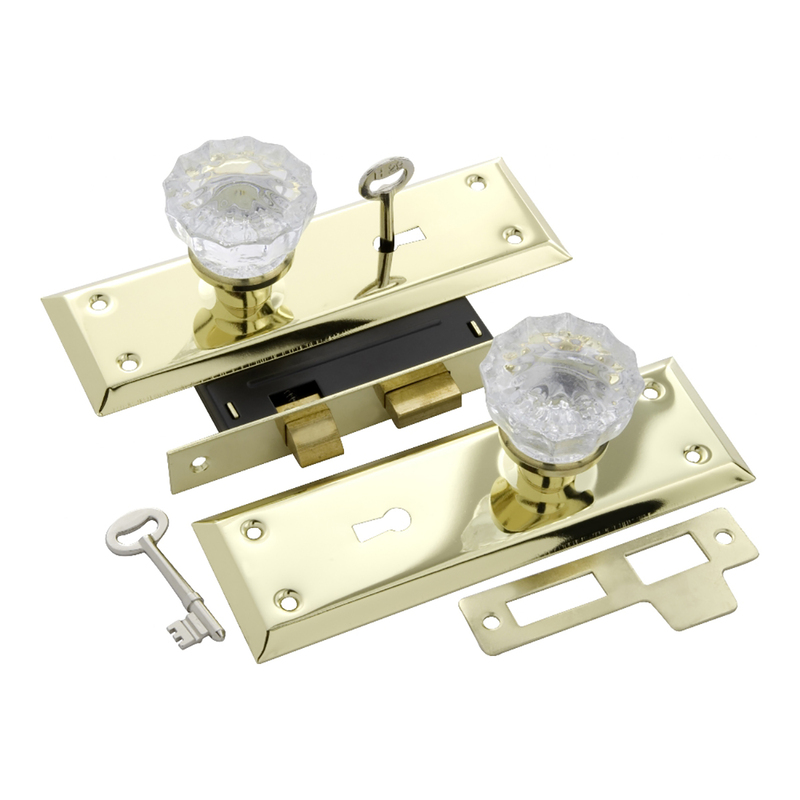 Install latch face by securing with wood screws. 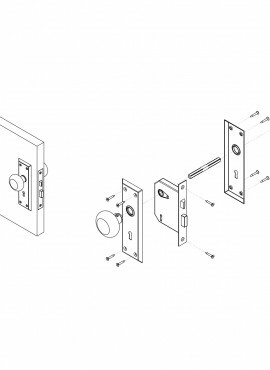 Note: If you find you have installed latch tongue in wrong direction for door jamb, grip sides of latch tongue with pliers, pull latch tongue out, turn to opposite side and let tongue snap back in place. Remove old strike plate. Install new strike plate into existing recess. Insert tow screws into face of strike plate and fasten securely. Tab may be adjusted forward with screwdriver to obtain firm latching. 2. 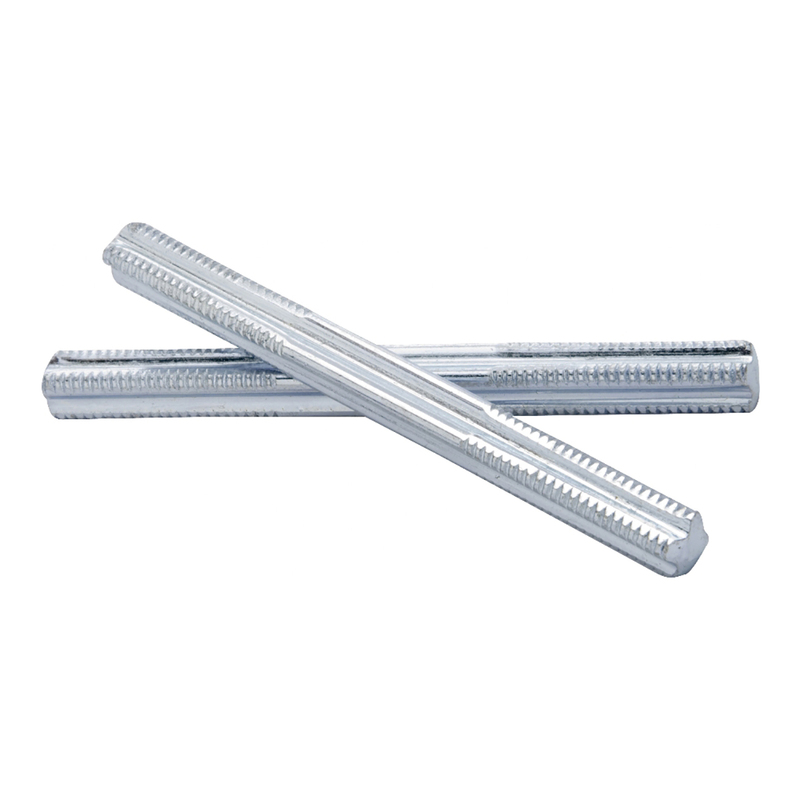 Center rosettes over 3/4′ dia. 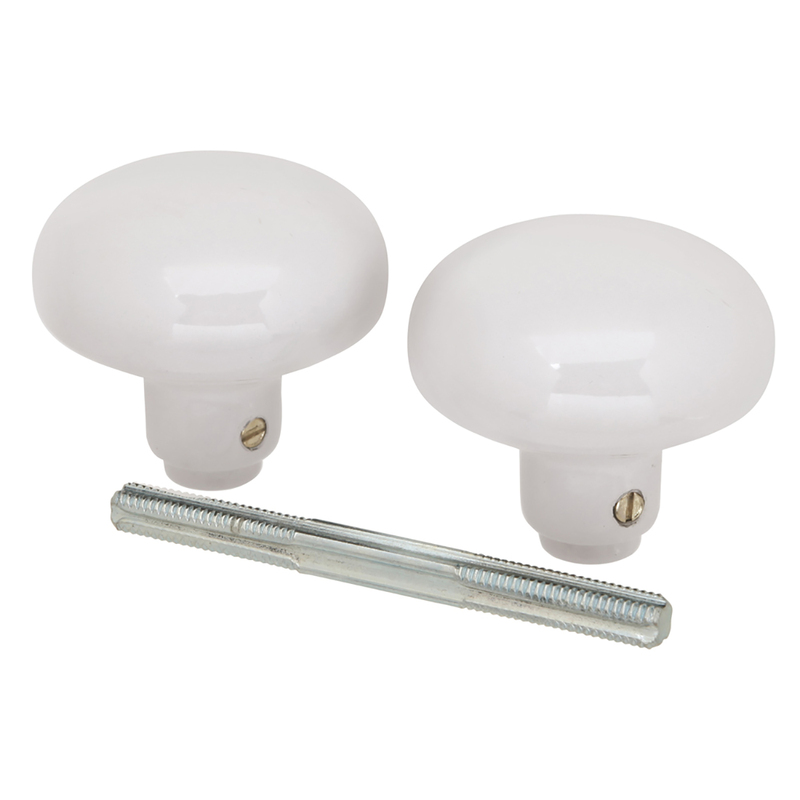 hole and attach to door using 3/4″ wood screws provided. Place spindle through square drive in latch and thread knob onto spindle until they seat into rosettes. Back off 1/2 turn and tighten set screws onto spindle. Test for proper operation. 1. Remove old plates from door. 2. Align plate over holes and attach screws provided. 1. Fold template (see insert included) along dotted line and wrap around inside edge of door at a convenient height. mark holes A and B through template. 2. Position vertical line C in center of door thickness and mark holes as shown. Be sure the template does not move up or down. 3. 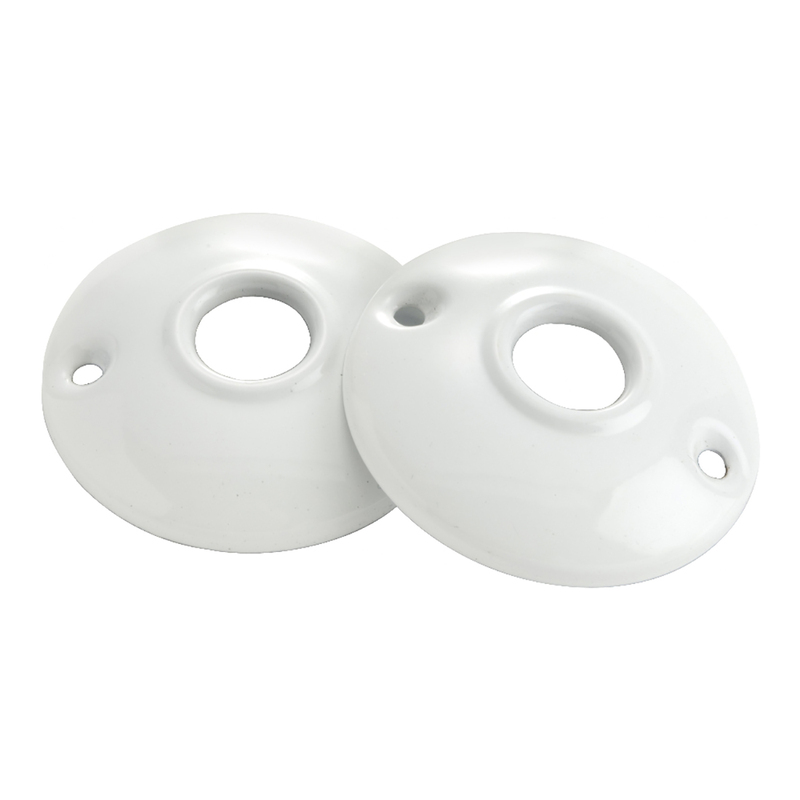 Remove template and drill seven 5/8″ diameter holes 3″ into edge of door where C holes were drawn. Chisel out remaining wood to form a pocket in the edge of the door measuring 5/8″ wide by 4-1/8″ long by 3″ deep. 4. Drill one 3/4″ hole on mark A through the door. 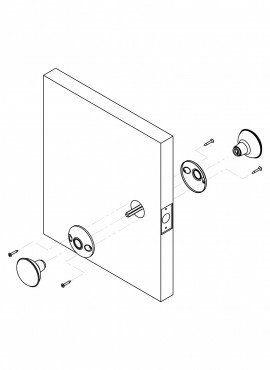 Drill four 5/16″ holes as indicated through the door to form slot B. 5. 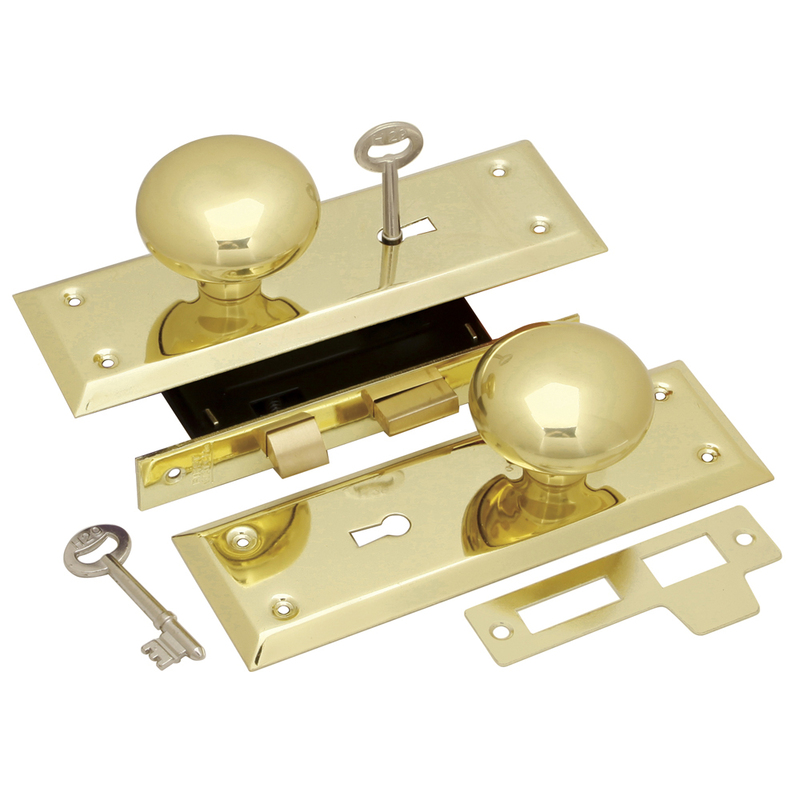 Insert mortise lock into pocket, draw a line around the face plate, and remove lock. Chisel out the wood within the lines to a depth of approximately 3/32″. Insert lock occasionally to ensure proper depth. 6. 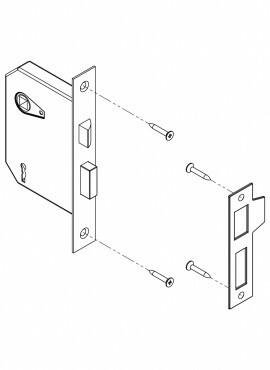 Insert lock into door and attach with two flathead screws. 7. 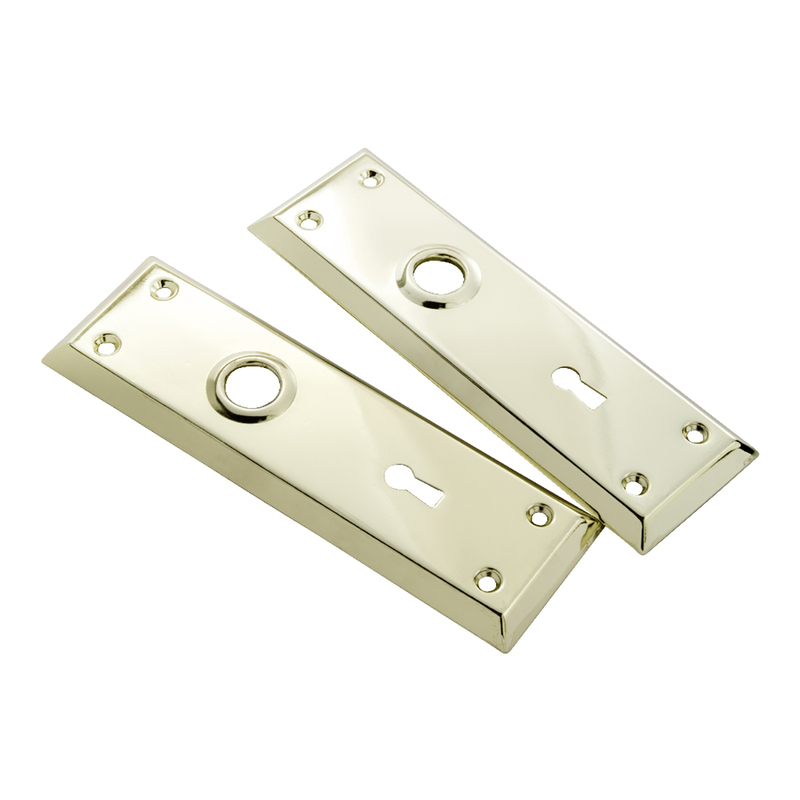 Position trim plates on door in line with lock and attach using eight oval-head screws. 8. Insert spindle through hole A and attach knobs at each end of spindle. 9. 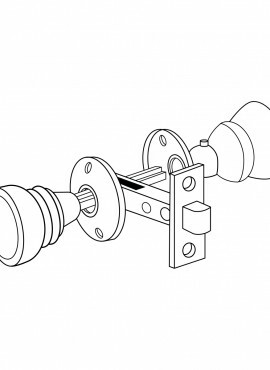 Position strike in line with latch and attach with two flathead screws. Remove old spindle and replace with new.